I really love this. It’s can be so hard to stick to your passions in life, but I’m never satisfied with settling for money either. I hope you keep your creativity flowing and never cash in on a desk job! Thanks lady! I just checked out your blog and I LOVE it. Cheers to creativity and jeers to desk jobs! I so appreciated your piece here. The photographs of the blown glass art work are awesome. 🙂 Happy to read your next piece to come! That is Agent Carter level of class there Sarah. Shame on you for beating up and bleeding out little womanizing warehouse wimps. You do know I would have gladly paid my Catalytic Converter for a ring side seat just to watch you punch that sucker and laugh as you chased him out of Kent upon his little sister’s Vespa scooter. Brock, your comments always make me laugh! The hotelier who hosted the wine event profusely apologized to me after this incident happened. She said she felt like she should have intervened but she also said that it was very clear that I could take care of myself. Haha! 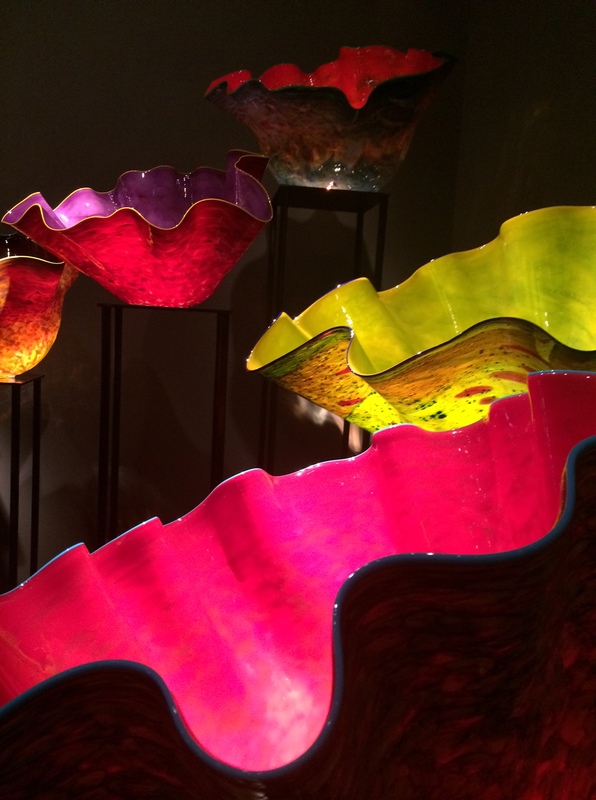 Chihuly is amazing – love his stuff, but I’ve never seen it in ‘real life’. Oh my goodness Jesska you must! The art is so much more beautiful in person. 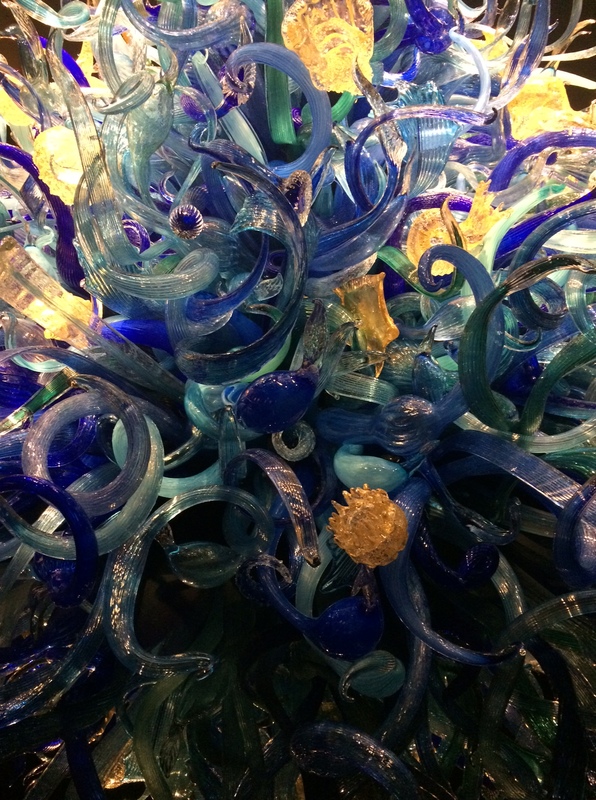 Take a trip to the Pacific NW and you can hit both the Museum of Glass in Tacoma (Dale Chihuly’s hometown) and Chihuly Garden and Glass in Seattle. You won’t be sorry! You’re right! Berlin is quite far. 😉 I visited your city in the early 2000s and I was absolutely charmed by it. How lucky you are to live there! Well, all I can say is the Pacific Northwest of the U.S. is absolutely beautiful – especially in the summer time – and if you have the opportunity to go, you should! I need to get a job in the first place. I’m 17 and job less. Sounds surprising??? Well it isn’t. I see places that say that there hiring, i send in an application, and never hear anything back from them. My goal in life is to do what I want to do. I get told that I need to this job or this job, but I just want to do what I want to do. I really empathize. It’s so hard to find a good job at your age. A lot of companies won’t want to hire you because you’re so young, but keep trying! Don’t rely on just submitting applications. Think about places where you want to work and ask if you can speak to the person responsible for hiring. Talk to everyone you know and try to get someone who already has a job to recommend you at their place of work. And never lose sight of your goals! Always keep them first in mind and make sure that everything you do is moving you one step closer to attaining them. I know at 17 you probably don’t feel like you’re very young but you are, so try to have a little patience as you continue to work towards achieving the things you want in this life. Good luck to you! Haha! I know that was a bit mysterious of me wasn’t it? I didn’t take any photos in Kent. Let’s just say I wasn’t inspired there. 😉 A trip to Seattle is a must! Such a beautiful city. Another wonderful post. Glad I had already finished next weeks post before I read yours. Writing is my passion, and my dream is to make money doing it. I’m so happy for you to have the opportunity to do it. Also, the Chihuly Museum is one of my favorite parts of Seattle. A little pricy to get in, but very worth it. Thank you Jeff! 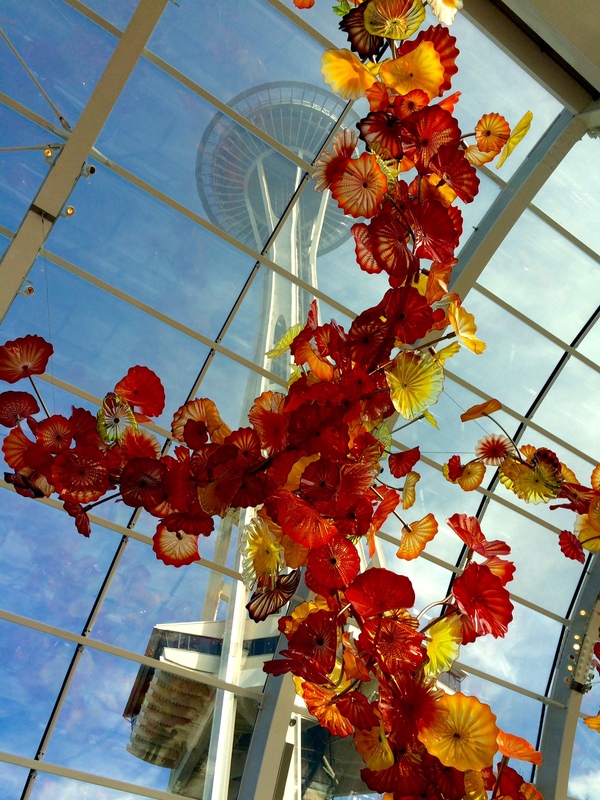 Agree the Chihuly Museum is a bit pricey, but absolutely stunning and in a great part of the city. I think I lingered long enough to make it worth the cost of admission. Thank you for reading. This was a phenomenal piece. Honestly, the struggle between creativity and conformity to money is often too frequent in the lives of many people in this generation. Obviously, you want to pay bills however you also want to be able to explore your passions in the same breath. It’s a sucky position to be in, but I envy you for staying true to your passions. I ended up academically dismissed from college due to low grades, left school and began making money and haven’t been able to really do much else since. My passion is my writing but too often I’m surrounded by the judgmental opinions and stares of needing money and not following my “hobbies”. Thanks for sharing your strength! It’s much appreciated. Beautiful piece of writing……you have inspired me to try a bit harder myself, and to definitely explore the five other lives to lead within my chronic pain blog to lift spirits. Keep on writing and posting for us! The way you described yourself.A writer,Marketer and brand strategist resonated with me.The first two are correct.Just graduated with a new small job for a few months so i can’t tell if i will be a brand strategist yet. Also,i have been planning to post on money on my blog just today,so what a coincidence that you’re not in it for the money because i am going to cover that. my blog is theresonjournal.odipodev.com Have a look now that you’re free. Thank you so much! I’m glad you enjoyed it and I appreciate your good wishes! Amazing. I love this post and can totally relate to it. So glad to hear someone else gets it. Who cares about a big paycheck if you’re spending most of your life wishing you were doing something else? I’ve been meaning to read The Artist’s Way and actually thought of it this morning. That quote you took from it reminds me of the car crash scene from Fight Club when Tyler asks the space monkeys what they want to do before they die..
“If you had five other lives to lead, what would you do in each of them? I would be a pilot, a cowhand, a physicist, a psychic, a monk . . . Whatever occurs to you, jot it down. Magnificent writing! We live our lives unnaturally, we chase the material and forsake nature, discovery, exploration,creativity, design, we forsake the stuff that moves us. It’s almost as if we’re trained to believe the stuff that moves us is money only! Wow this post resonates with myself so much. I too have had an interesting couple of years and one day found myself at the same exact museum for the first time, contemplating the next chapter in life, and here we are, living that so called “imaginary life”. It is real, if we want it o be so. I am transitioning to Life Coach, how about you? Thanks again for sharing. That’s a crazy coincidence, Tika. I’m not yet sure where I’m going but I promise I’ll keep writing about it. 😉 Good luck! So glad I found your blog-your essay is captivating and you write with an authenticity that has captured a lot of people. I hit the pause button too, and can identify with people’s reactions. After being in corporate world for a lot of years, some people felt I may have suddenly lost it. I’m heading back to work now after a year off. Best thing I have ever done, and I wish you well on your personal sabbatical. Thank you so much! I appreciate your kind words and good wishes. Thank you so much! I totally agree. Thank you for reading! Enjoyed this post and the others I’ve read about the various transitions you’ve recently been faced with in life. I too am adjusting to life changes and “curve balls” as of late. Keep up your wonderful writing! 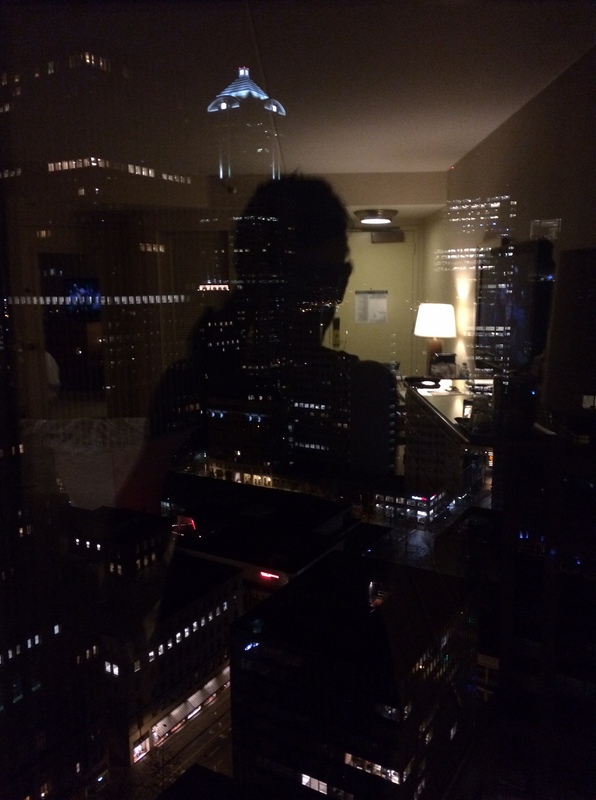 And loved seeing your pics from Seattle (I just visited for the first time last month and loved it).